The term geodiversity refers to the variety of rocks, minerals, soils and landforms and the processes that have formed these features through geological time. Earth heritage or Geoconservation is concerned with recognising, protecting and managing sites and landscapes that have been identified as important for their geological and geomorphological features. This might include minerals, fossils, cave systems, rock outcrops and actively eroding rivers. The protection of biodiversity and geodiversity is important. Some are of international and national significance and have statutory protection. 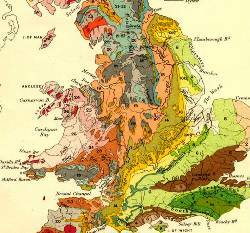 Over 4000 Geological SSSI have been chosen because they represent the best examples of the UK’s geodiversity. 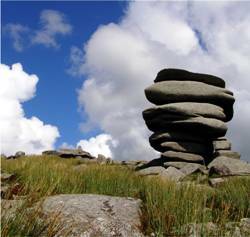 Although not afforded statutory protection, Regionally Important Geological Sites (RIGS) are designated for their importance in protecting geodiversity and are material considerations in planning policy and planning decisions. The National Planning Policy Framework sets out planning policies on the protection of biodiversity and geological conservation through the planning system and any development proposal must assess the potential impact on both biodiversity and geodiversity and planning decisions must aim to maintain, and enhance, restore or add to biodiversity and geological conservation interests. to conserve earth heritage features.